Are You a Victim of a Life-Changing Injury? or request your free consultation online. A serious injury at the hands of another party can have devastating long-term consequences. In some cases, a catastrophic injury can even lead to the death of a loved one. A catastrophic injury lawyer can represent you and your family's best interests, helping you recover full and fair compensation for medical expenses, lifelong care, and even pain and suffering. 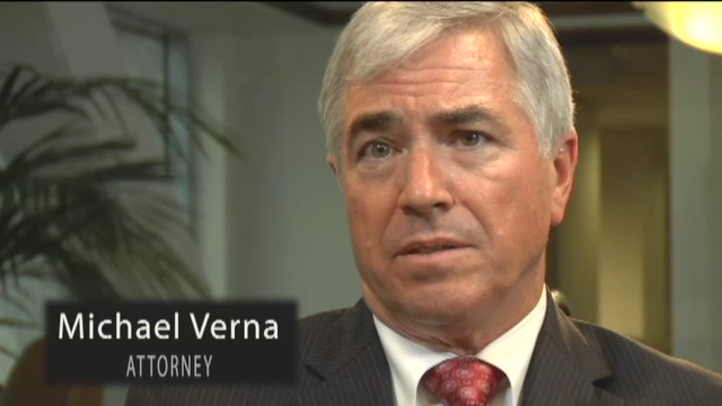 Why should you choose Bowles & Verna LLP for your catastrophic injury case? Catastrophic injury is a legal term describing bodily harm that brings serious, often permanent life changes. For many victims and their families, life will not be the same, and there will be an ongoing need to accommodate the effects of injury. Civil court laws allow victims to fight for compensation after suffering an accident caused by negligence or wrongdoing. A catastrophic injury attorney at the Walnut Creek, CA, law firm of Bowles & Verna can assist victims and their families to obtain much-needed compensation. For more than 30 years, Bowles & Verna attorneys have provided legal representation for victims and families suffering from severe injury or wrongful death. Our attorneys understand every aspect of these life-altering circumstances, and offer compassionate advice and tangible help. The effects of a catastrophic injury can require ongoing rehabilitation and medical care. For the victim and close family members, the effects of catastrophic injury are immediate, ongoing, and usually long-term. Victims of traumatic brain injury, severe spinal cord injury, burns, and other types of serious bodily injury must adjust to extremely difficult life changes. These can include hospital bills, regular doctor visits, physical and occupational therapy, medical equipment, in-home care, and more. For a permanent injury, the victim and family must budget for high annual out-of-pocket expenses. The victim will most likely be unable to keep his or her job and may not be able to work at all. Often, a close family member will stop working in order to provide care. Physical pain results from any type of severe injury, including paralysis, which comes with a long list of uncomfortable side-effects. The victim may also experience emotional pain and suffering from the trauma of the event and accompanying losses. Pain and suffering affects the entire family. Disabilities can end a career and change social standing, family relationships, and more. A severely injured individual may lose the ability to provide household help and emotional support. A parent may be unable to care for a child, or a spouse may be unable to provide the same degree of love and companionship to his or her partner. The catastrophic accident attorneys at Bowles & Verna have extensive knowledge and experience in representing victims of disastrous negligence. A monetary settlement cannot begin to compensate for devastating losses, but damages recovery can bring respite from financial concerns. At Bowles & Verna, we have achieved multi-million dollar settlements and jury verdicts on behalf of catastrophically injured clients. We know what it takes to establish negligence in a personal injury or wrongful death case. Our work brings higher client recoveries because we are experienced trial lawyers. We know how to build a solid case and are always prepared to take it to court. We have assisted victims of all types of trauma, including motor vehicle accidents, incidents of medical malpractice, work injuries, and product liability. Our work brings higher client recoveries because we are experienced trial lawyers. We know how to build a solid case and are always prepared to take it to court.